Applications can now be installed directly from the “Applications” admin tool. This applies both to local application files, and applications shared in the Enonic Market. For clustered installations, applications will automatically be distributed and started on all cluster nodes! The system still supports local deployments. Local deployments will override apps installed centrally - i.e. for development or testing purposes. Application configuration is still handled on file. 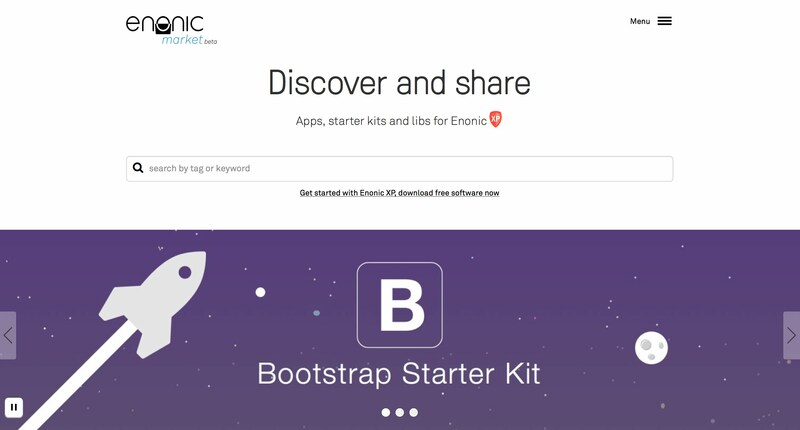 Enonic XP now supports 3rd party admin tools - (previously admin apps). Each tool is now running in a separate browser tab, allowing developers to pick and choose their favorite front-end technology. Read the documentation for how to get started with Admin Tools. The home page is now available as a separate tool, featuring a new tools launcher panel. 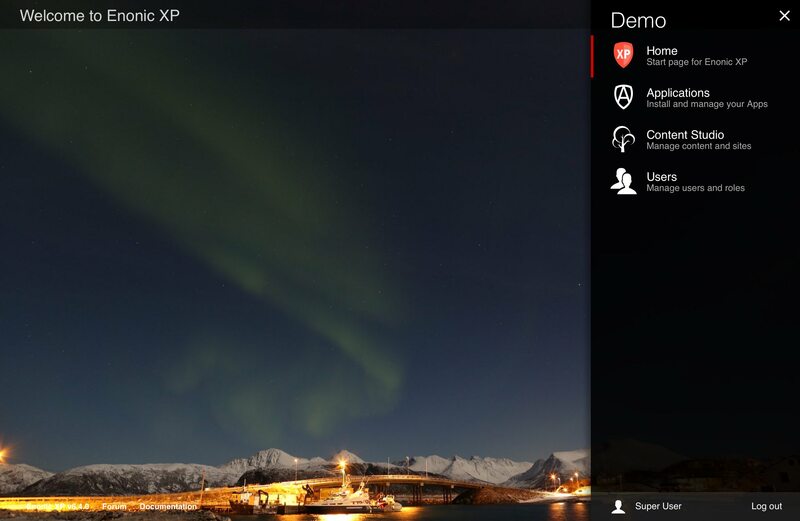 The launcher panel is easily embedded in other tools - providing global navigation capabilities. The home page currently only serves the purpose of being a start page for choosing other tools - but will provide exciting features in upcoming releases. Navigation and user interaction inside Page Editor have been significantly improved to be more intuitive and not take away attention from the components being edited by giving them more focus and space. We’ve also changed component interaction behaviour and styling to be consistent between the Page Editor and the Page Components view. Editors may now navigate directly in the preview area to find what they are looking for, and then click edit. The content navigation panel (to the left) will update selection as the user navigates the site. It is now possible to search for incoming and outbound references. All references within a document are now automatically indexed in the virtual property _references, making it easy to search for incoming references and outbound references between nodes and content. It is now possible to create and use WebSockets in XP apps. This support is experimental and details may change for future releases. Feel free to test it out and give us feedback so we can implement this the best way. More details on Websockets. © Copyright 2016, Enonic AS. Revision 152948ec.